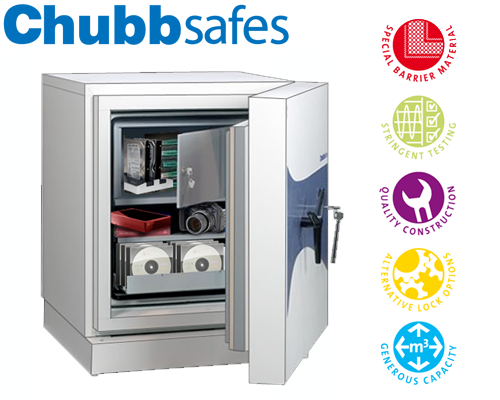 The NEW DataPlus + Cabinet range from Chubbsafes has been expertly designed ensure you have the best protection for your vital data media now with extra capacity. Key Features • Removable front plate allows usage of a pallet loader for a more efficient installation, additionally allowing a cost advantage to the customer. •Ability to base fix to the floor for an effective prevention of physical removal. 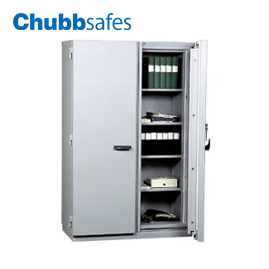 • The cabinet is fitted with a keylock as a standard. 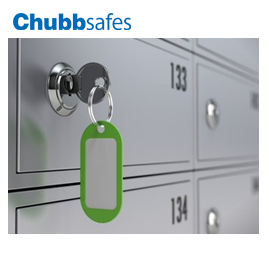 However, you may require the monitoring of access to your sensitive data and therefore we have a series of electronic locks changing from basic locking to more sophisticated audit trails. • The cabinet is an attactive light grey which fits in well in most office interiors. • Easy slam action emergency closing in event of a fire. • Generous capacity. 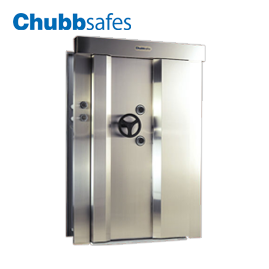 Chubbsafes cabinet have been designed to give you more for your money than most other manufacturer's cabinet. • 2 hours datamedia protection label. Tested to the highest international standars; UL 72 and EN 1047-1. CEN Norm is certified by ECB.S in class S 120 DIS. • Easy to transport and install. Low weight radio due to advance fire protection barrier material. 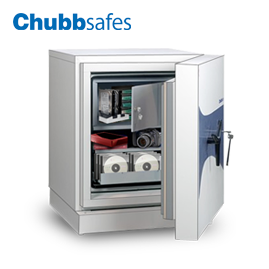 • Ability to customise by using internal fittings to optimise your storage capacity.